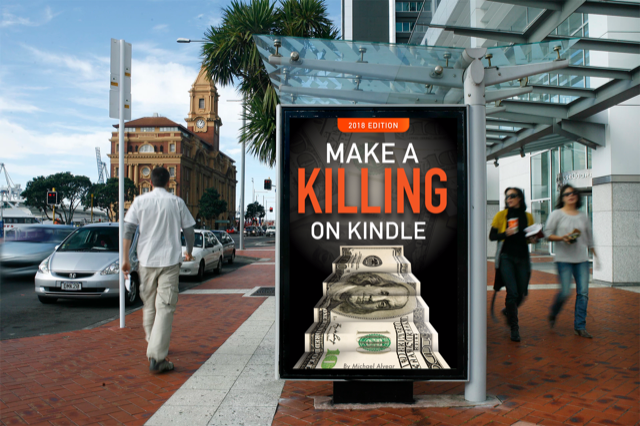 This week we welcome ALLi Professional Author Member Michael Alvear, best known for his much-discussed and sometimes controversial guidebook for indie authors, Make a Killing on Kindle. The recently-launched second edition includes data drawn from his Amazon buyers’ eye-tracking survey that we shared on this blog a couple of weeks ago here. 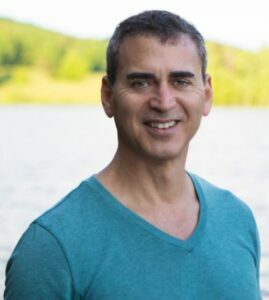 While Michael, a hybrid author, avows that there is no universal formula for success for indie authors, his resilience, focus and boundless enthusiasm for indie publishing make him a valuable role model for those who aspire to make a living from self-publishing, whether or not we choose to emulate every tactic in his book. Rescuing myself from financial ruin through the sales of my books. As a writer during the great recession, every magazine and website I wrote for was dead or dying, leaving me unpaid for thousands of dollars of work. My agent couldn’t sell my manuscripts because publishers weren’t taking a chance on anybody but celebrities. So I put them on Kindle and… and… FAILED MISERABLY. 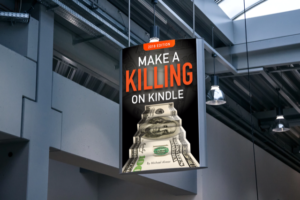 With my back up against the wall and no other options, I decided to immerse myself in the Kindle Ecosystem and FIGURE IT OUT. I did, made changes to my marketing, and watched my sales come out of the water like a Polaris missile, rescuing me from sure bankruptcy. Not to give up when my first few books tanked. The capriciousness of success. I have books I’m almost ashamed I wrote because they’re so mediocre, and yet they sell phenomenally well. I’ve written books that are MY BEST WORK EVER, and they fell into the gazpacho face first and never recovered. They might attribute their success to their agent. So you get the same agent and nothing happens. They might attribute success to their blog. So you start a blog and nothing happens. They might attribute success to a particular writing process. You adopt that process and nothing happens. The successful author mixed blue with yellow to get green. You mixed the exact same colors and got white. And that, in a nutshell, is why it’s so hard to learn from your failures as a writer – because there are no hard “laws” in publishing to measure them against. Isolation is the enemy of creativity. I LOVE WHAT I DO. Staying productive/motivated is simply not an issue for me. Waking up in the morning and seeing the sales I got the night before. Not just because of the money (that’s a given), but because sales is a report card on your homework. Did you try new things? How did it work out? etc. Bolt yourself onto people who know what they’re talking about—organizations like ALLi as well as individuals like Dave Chesson, John Doppler and – ahem – ME! Read their blogs, books, etc. Forget about formulas and aim for best practice. Never design your own book covers. You will produce crap and the inability to perceive it as crap. Speaking of covers, I discovered a service called “snazzy snaps” that can make you SO proud of your covers. Basically, they put your cover in a bigger image that imputes your book’s importance. Use it as a way of merchandising your covers in a unique way – see the three examples above. I have no financial ties to snazzy snaps. I just think they’re cool as hell. 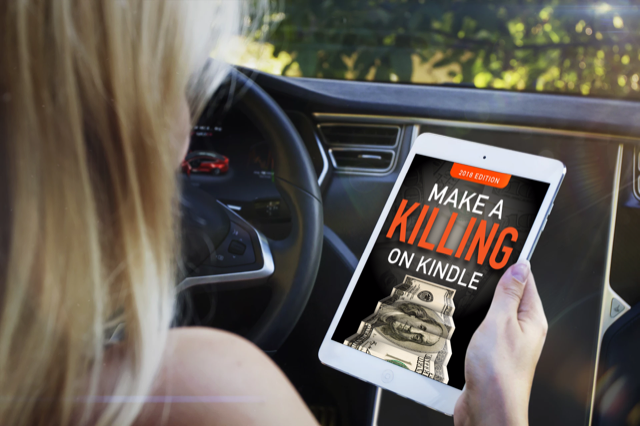 Make A Killing On Kindle 2018 EDITION just came out. so I’m doing a world tour promoting it. The book is heavily based on an eye-tracking study of Amazon book shoppers I commissioned from a research lab. You can get the heat map and a twenty-page summary of the results here for free. Michael Alvear is an ad veteran of 20 years, once winning Adweek’s prestigious Media Plan Of The Year. He is a hybrid author represented by the Handspun Literary Agency and has also self-published fifteen books, including "Make A Killing On Kindle". A columnist whose work has appeared in The Washington Post and The New York Times, he’s also been a frequent contributor to National Public Radio’s All Things Considered. Find out more about him at his website, www.writingforaliving.us.